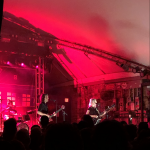 Tuesday night, the Better Oblivion Community Center graced us with their presence at Stubb’s, alongside the company of Lala Lala and Christian Lee Hutson for the first real Stubb’s Sweat of the season. One of the most buzzed about acts of 2019, BOCC is a cult of sadness, with its two founders, Conor Oberst and Phoebe Bridgers at the helm of the vessel of sadness. What we got was a great night for fans of both artists individually as well as new fans of the project. Read past the jump to get my brief thoughts on the night. 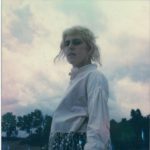 This Tuesday night (4/9), we’ll be graced by the presence of Phoebe Bridgers and Conor Oberst in the form of the Better Oblivion Community Center as they take the stage at Stubb’s. Previously slated for the Mohawk, overwhelming support for the early 2019 self-titled album caused a move to a bigger venue; the hype is real and with good reason. Not only are both artists incredible on their own and in their various projects over the years, this new joint album is quite phenomenal. Tickets are still available and are a pretty sweet deal for the amount of talent you’re getting for the price. Openers are Lala Lala, who put out a great album last year, as well as Christian Lee Hutson. Some of our favorite locals, Being Dead will take the inside stage at Stubb’s Jr post-BOCC. Check out “Dylan Thomas” from Bridgers and Oberst (if somehow you haven’t already) and go scoop some tickets before they’re gone–it’s a great option for an early week night treat. I haven’t gotten chance to really share our love for Lala Lala, but I’ve spent the past week hanging out on the Internet trying to find tracks I can play for my newborn daughter…as background music, and subliminal female empowerment. For starters, this song’s perfect, ambling in with atmospherics before Lillie West even lets her voice enter the picture. When she does, it’s offered with a headstrong solemnity…though she’s able to raise the pitch when needed. I like the slight horse gallop from the drums in the distance, while West continue to drape her perfect voice across the song. The Lamb will be released via Hardly Art on September 28th, and I’m pretty sure my daughter, unbeknownst to her, is going to be way into it. There’s also an Austin tour date on October 4th for our ATX friends.